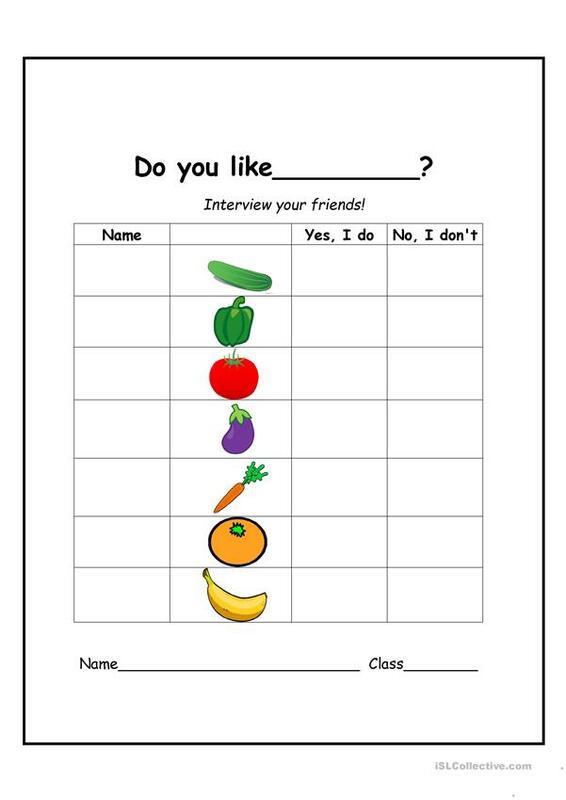 A simple warm up activity where students interview each other about the fruits and vegetables they like. It can be used at the beginning of the class to get younger students talking. The present printable, downloadable handout is a great resource for elementary school students at Elementary (A1) and Pre-intermediate (A2) level. It was designed for developing your pupils' Speaking skills. It focuses on the topic and words of Food.